Origins are named as the most favorite and distinguished clothing brand amongst the people. 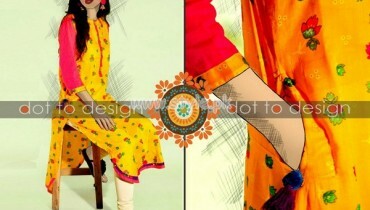 This brand has the main products in the category of casual wear, formal wear and ready to wear dresses in favor of women. Every season their highlighted collections has always well liked by the women. Previously they incorporated with the showcase of Origins Eid-ul-Fitr collection 2012 that was highly loved and esteemed by the people and fashion world. Once again Origins has again decided to make the women go crazy for their dresses and this time it is about the winter dresses. 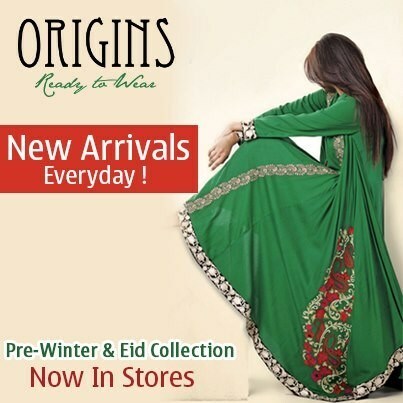 Newly, Origins have launched their stunning and fashionable winter collection 2012-2013 for women. The colors used in the dresses have been filled with the combination of dark and light colors including the brown, pink, green etc. We are sure that once the women grant a short look at winter collection by Origins they couldn’t resist them to buy the dresses. 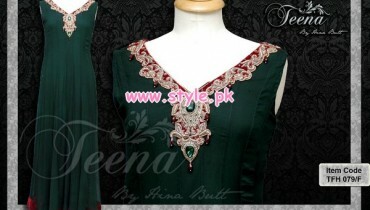 We are sure that women would certainly discover the dresses as simple and elegant as well. So all the women out there just don’t think any more and garb all the dresses of Origin’s winter collection 2012-2013 and we are hundred percent sure that you will love to try the dresses again and again.